What just happened? Spotify has finally found its way to Apple's smartwatch. The functionality, part of the latest iOS app, doesn't yet include the ability for offline play but Spotify has confirmed that is coming in a future update. It's pretty incredible to think that you can now carry around a library of millions of songs on your wrist. Apple Watch owners now have an alternative to Cupertino’s own streaming music service. 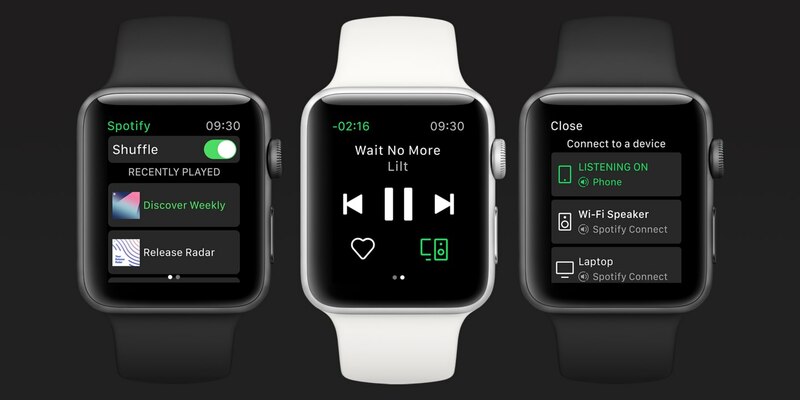 On Tuesday, Spotify officially launched an updated version of its iOS app that includes the first version of its Apple Watch application. With the new integration, you’ll have access to basic playback controls like skipping tracks, playing and pausing music and rewinding (especially handy when listening to podcasts). You can also stream music to compatible speakers via Spotify Connect, a feature that was recently expanded to free-tier users. The update brings the Spotify app for iOS in line with its Android counterpart. Spotify’s app for Apple Watch doesn’t yet afford the ability to download and listen to music and podcasts offline although we’re told that feature will be available in a future update. Spotify is the world’s largest streaming music provider with more than 87 million paid subscribers on its roster. When you factor in ad-supported free tier listeners, the number of monthly active users swells to 191 million. By the end of the year, Spotify could easily have more than 200 million monthly active listeners. Spotify is rolling out the new update over the coming week. You’ll need the latest version of the app, version 8.4.79, to get the new Watch features.